The Gary Dineen Legacy Sponsorship Program is a way that corporations and individuals can contribute substantially to the ongoing support of the Mass/Conn United youth hockey programs. Sponsorship opportunities are distinct from one-time donations. In return, Gary Dineen Legacy will officially acknowledge your donation via various methods appropriate to your sponsorship level, including your logo and link on our website’s GDL Thanks Page, and an official sponsor image to place on your website. Logo and link are subject to GDL approval. There are four sponsorship levels, defined by donation amount and in-return benefits of sponsorship. No more than 25% of sponsorship value can be based on in-kind products or services. WHY SHOULD I SPONSOR GARY DINEEN LEGACY? 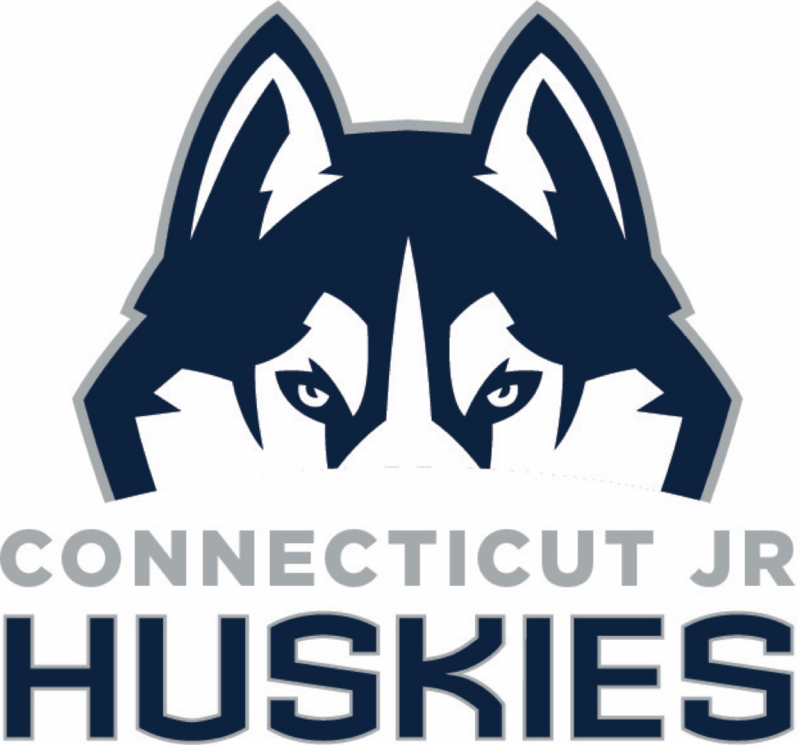 Gary Dineen Legacy provides ongoing support for the Mass/Conn United youth hockey programs, which include the Connecticut Jr. Huskies, Springfield Jr. Thunderbirds, New England Jr. Falcons and Gary Dineen Hockey School. By sponsoring GDL you show your support for our mission and help sustain a vibrant organization. Sponsorship also shows your support for area youth and provides you the opportunity to "give back" to the community. Also, Mass/Conn United teams travel extensively throughout the northeast U.S. and occasionally to the Canadian provinces of Quebec and Ontario, providing great exposure for your company. Finally, since GDL is a non-profit organization, sponsorship provides attractive tax benefits. 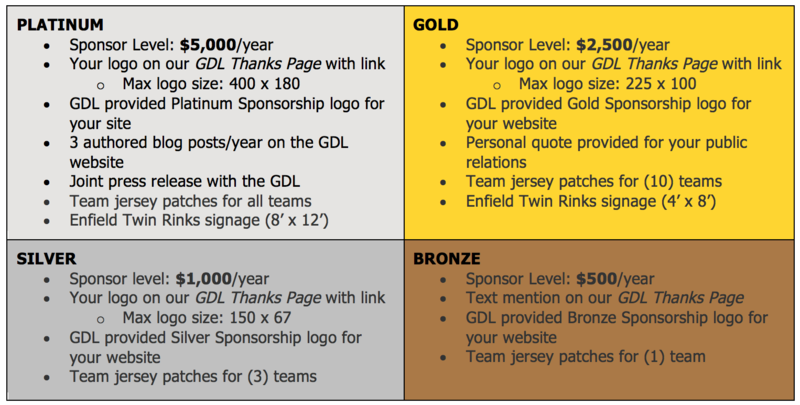 Your sponsorship will afford GDL the opportunity to assist the Mass/Conn United hockey programs in meeting these expenses, as well as expand our capability to maintain our leadership in the youth hockey community. Sponsorship donations are handled differently from one-time donations, so if you want your donations to be part of the Gary Dineen Legacy Sponsorship program (and obtain the benefits of the program), you must coordinate the donation with Keith Hillebrecht at . All information will be held in strict confidence. Gary Dineen Legacy appreciates donations of any size, and as a US registered 501(c)(3) corporation, your donation may be tax deductible. If you are interested in donating to GDL at a different level than offered in the Gary Dineen Legacy Sponsorship Program, please visit the Donations page. Your sponsorship will run for one year after the date of receipt of payment. For this period, we shall display your logo on our GDL Thanks Page. Two months before the end of your sponsorship, we will contact you (via the same mechanism as was used to arrange the initial sponsorship) requesting renewal. If renewal has not occurred by the renewal date of the sponsorship, GDL will remove the sponsor's logo from our GDL Thanks Page. We would like to take this opportunity to thank you in advance for your support of the Gary Dineen Legacy Sponsorship Program.